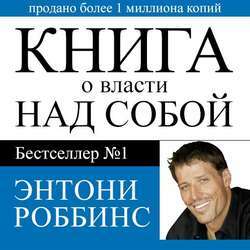 The book is about the power of a" - №1 bestseller by Anthony Robbins, a recognized authority on the psychology of leadership and self-development! Put any purpose - and achieve them! You can really get to create and achieve anything they desire! Anthony Robbins has proved it by example, being able to use the limitless possibilities of your mind. And this audiobook will tell you how you can do the same. You will find that all your dreams not only can, but must become a reality! Audiobook offers a deep and intelligent program to achieve success, allowing yourself to get rid of fear and prejudice, dramatically improve relationships with others, your body recharge enviable health and indomitable energy. - Where to find the strength and energy to self-improvement.